Summer is here. I’ve been taking advantage of the summer flavors of fruits and vegetables. 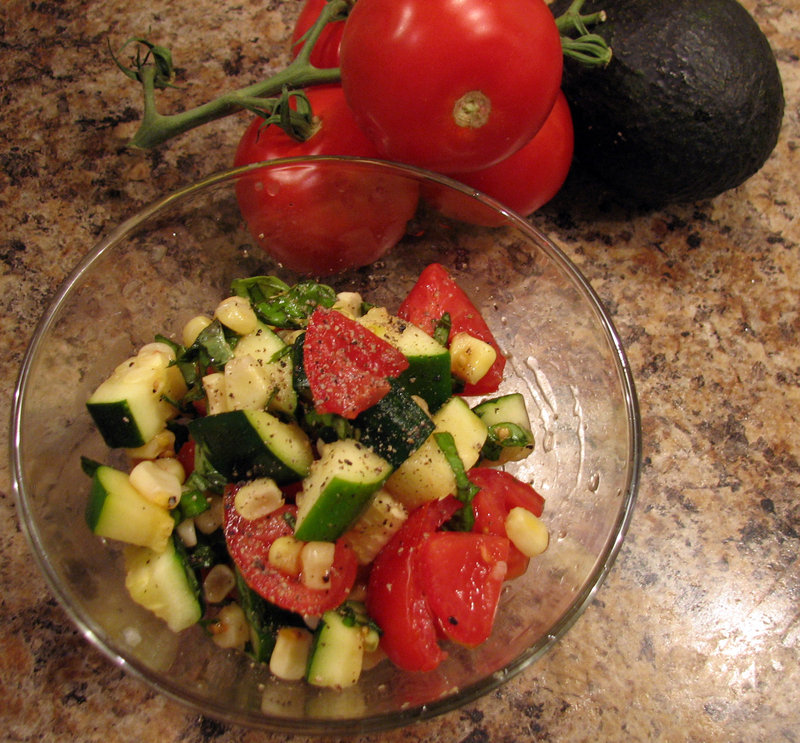 Nothing compares like going to the store or farmer’s markets and buying fresh veggies and making simple salads. Watermelon is an excellent complement to a green salad. The flavors of the saltiness of Feta cheese and the sweetness of watermelon really make this salad irresistible. I love it and I highly recommend it. Enjoy! This salad makes enough servings for 2 people. For more servings just double the recipe to the size you need. Whisk all dressing ingredients well. You can adjust the flavors of the dressing to suit to your taste. I did not add any sugar to the dressing because the balsamic vinegar was already sweet to me. If it is not sweet to you, add ½ teaspoon of brown sugar – whisk well and adjust accordingly. 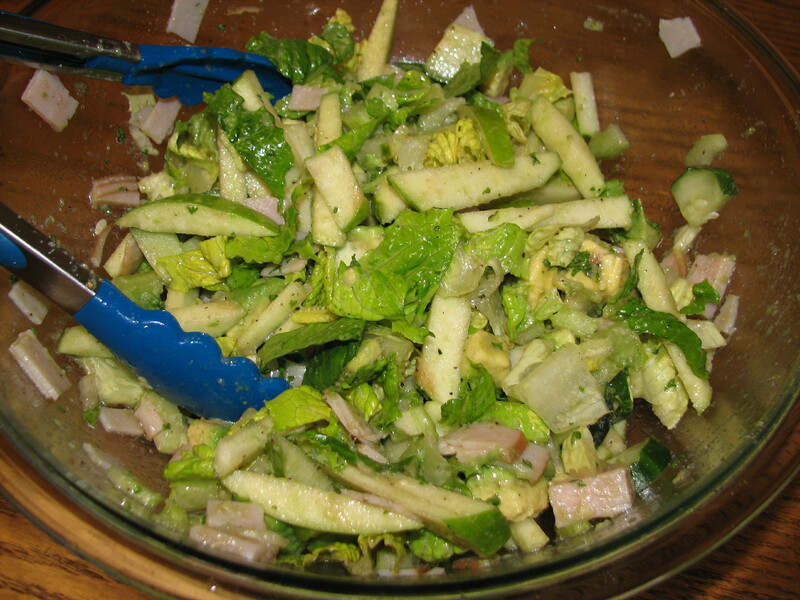 Put all salad ingredients in a bowl, drizzle dressing on top, toss well and serve. Today was a very busy day for me. I had a presentation I needed to prepare for and I did not have time to really cook anything. I put a couple nice sized potatoes in the oven to make baked potatoes and loaded them up with broccoli and Parmesan cheese. I had some baby spinach and decided to make a simple salad. I enjoy these types of salads. 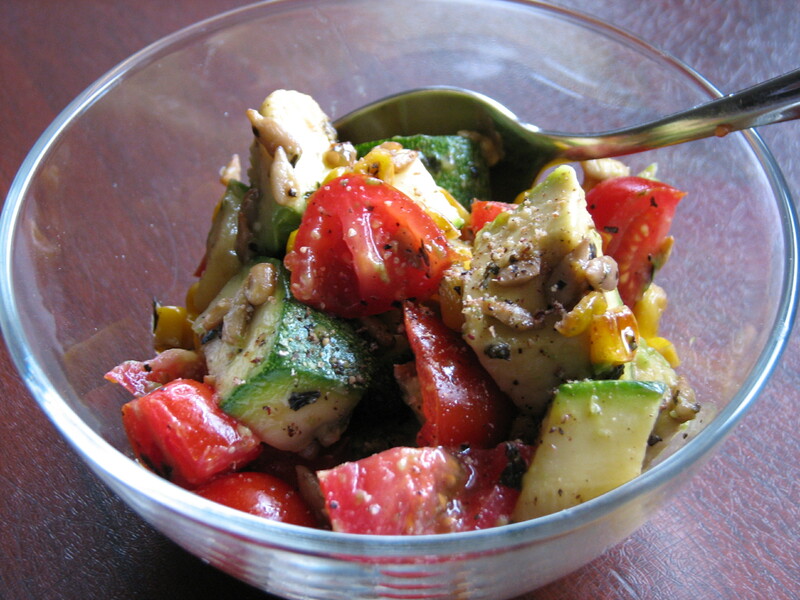 The salad had great flavor, dressed nicely with a simple balsamic vinaigrette dressing. It was an excellent meal choice for such a busy day. Perfect dinner for 2 people. Enjoy! Preheat oven to 350 degrees. On a stoneware or cookie tray, spread walnuts and pumpkin seeds evenly and bake for approximately 10 minutes. 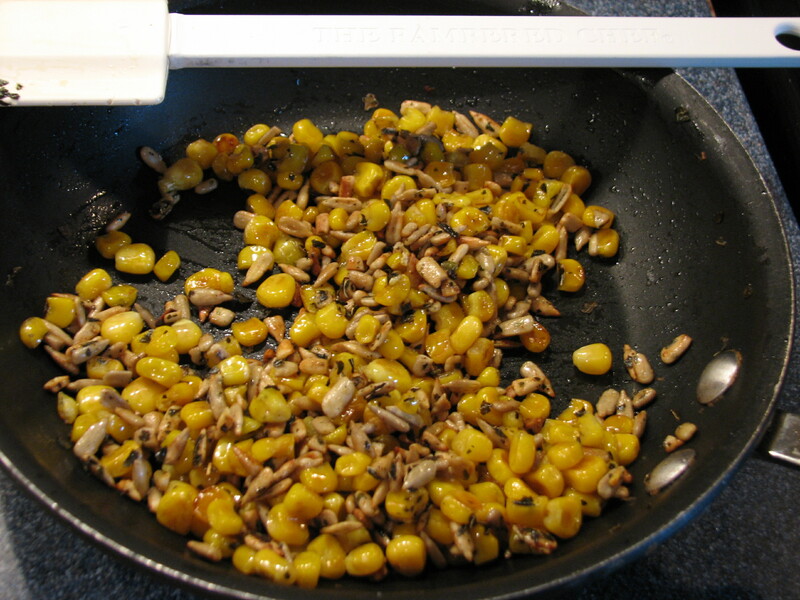 Remove the nuts/seeds from the oven and let cool. In a glass bowl, mix the raw honey, vinegar, olive oil, minced garlic with a wire whisk. 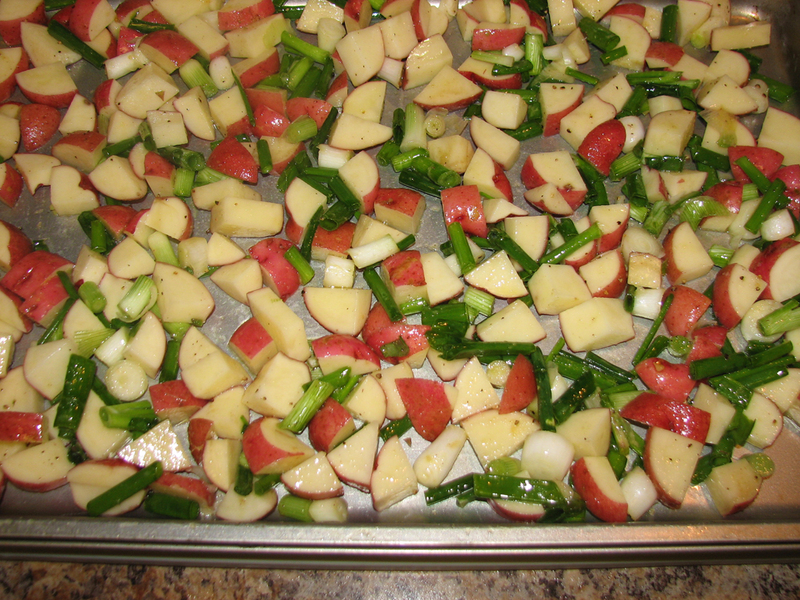 Season the vinaigrette dressing lightly with salt and pepper. Add the washed spinach, cran-raisins, and walnuts/pumpkin seeds and toss well. 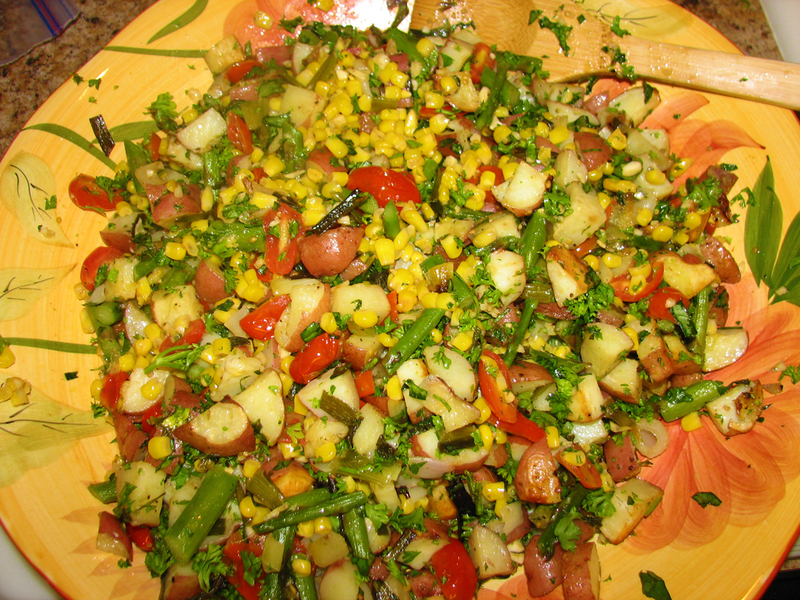 I am always looking for different kinds of salads to make especially in the summer when Farmer Markets and vegetables are in abundance. The varieties of vegetables are endless. 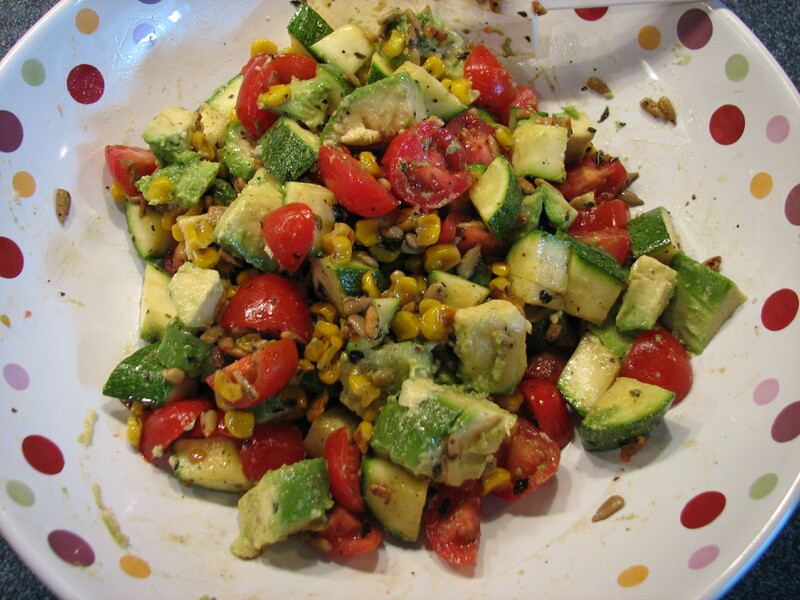 My all time favorite vegetables I think are corn, tomatoes and zucchini. The combinations are just so appealing to me. 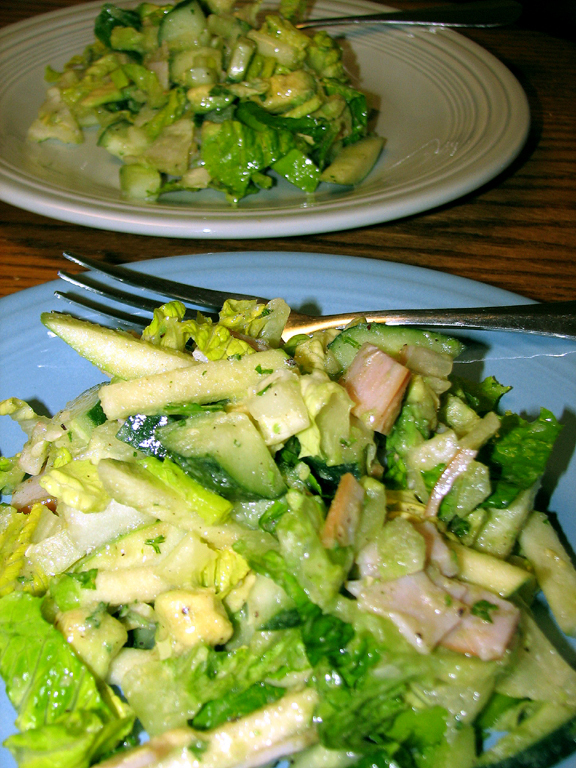 I made this salad when I went on a trip to Michigan a few weeks ago and the salad was easy to travel with – really did not require refrigeration. Great for picnics, hot days, cool days, any kind of day. Enjoy! This salad can be assembled either hot or cold. I have done this both ways. I sautéed the corn and zucchini for a few minutes in 1 tablespoon of olive oil just to give the vegetables a nice bite of flavor. 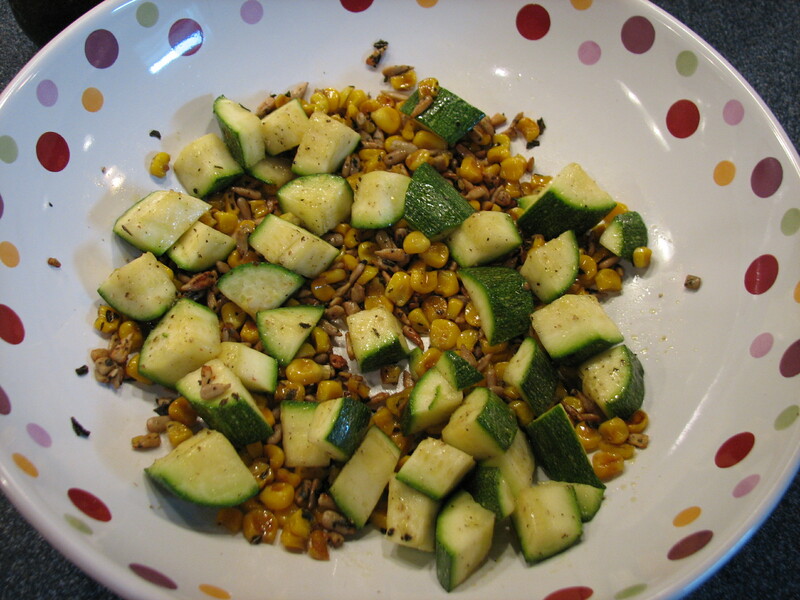 The sugars come out in the corn and the zucchini seems to have more flavor. 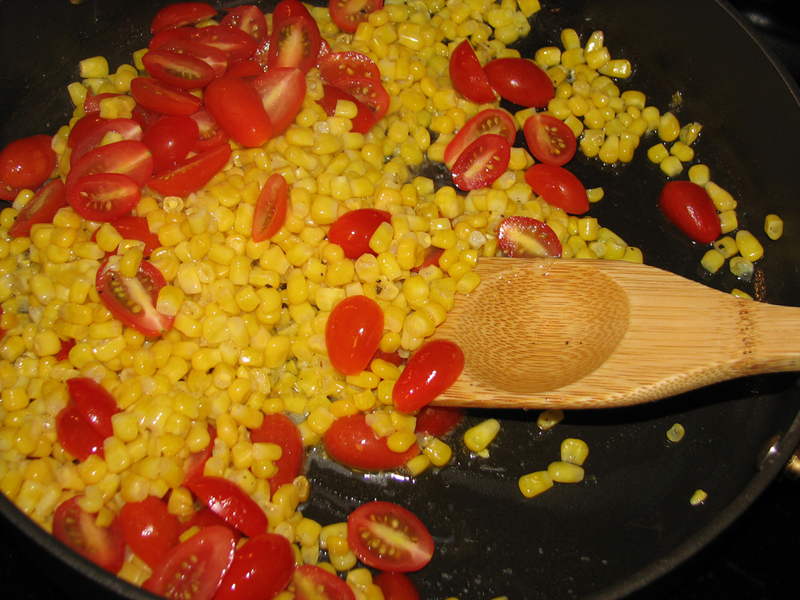 In a large bowl, combine the zucchini, corn, tomatoes and mix well. In another small bowl, combine the liquid ingredients and the balance of the olive oil – 1 tablespoon whisk well. Mix the liquid with vegetables, season with salt and pepper and add the minced basil. Toss gently and serve.